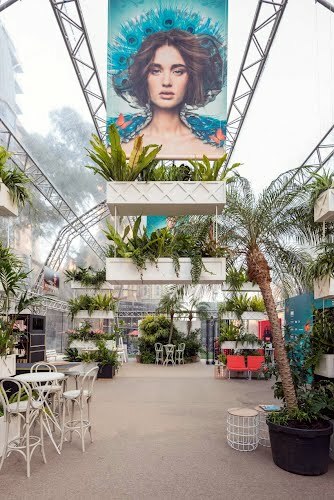 Creative concept, spatial planning, build and production. 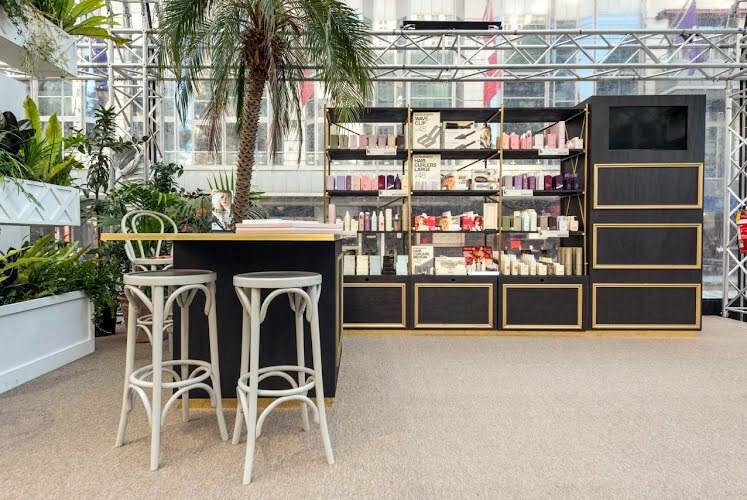 Moth Design and Dot Dot Dash collaborated to design and produce the Melbourne Spring Fashion Week Hub. 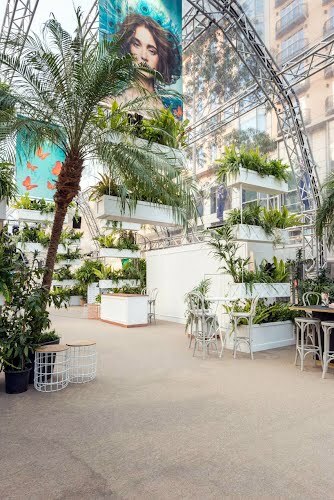 The festival theme 'untamed garden' saw the large clear marquee structure transformed into an overgrown Conservatory space for the week of the festival. 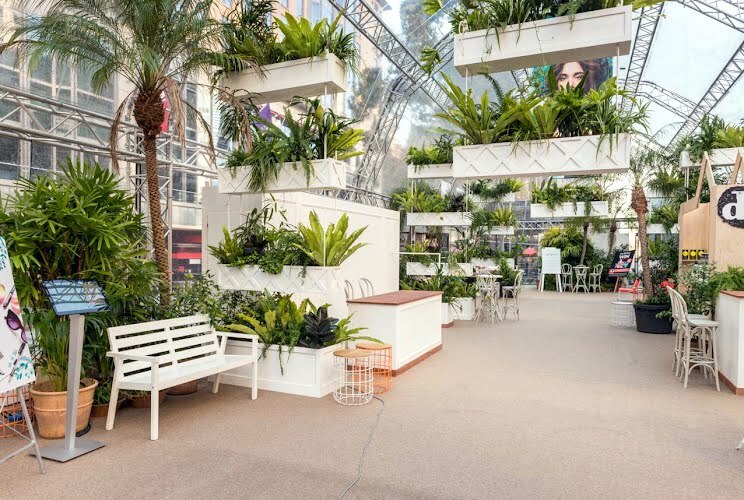 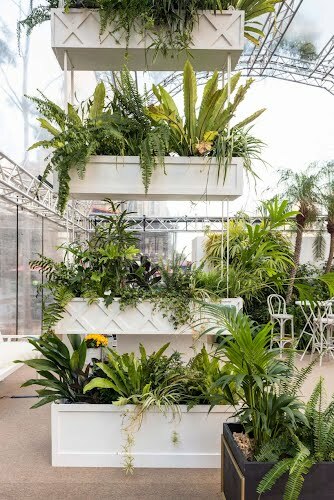 A large scale intervention of custom made hanging planters floated effortlessly throughout the space acting as terraced garden screens creating a space for visitors to wander and explore at their own pace. 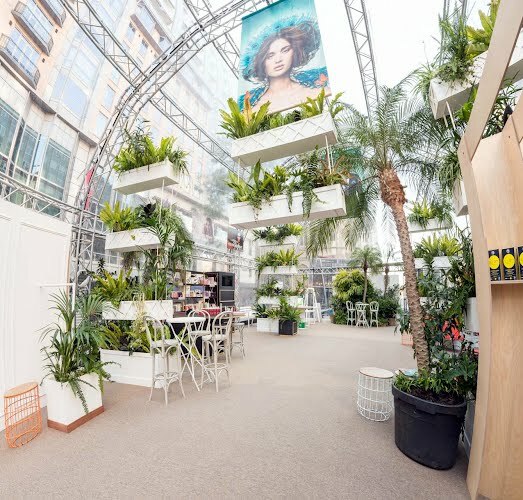 Green styling by the team at Glasshaus graced every corner of the Hub. 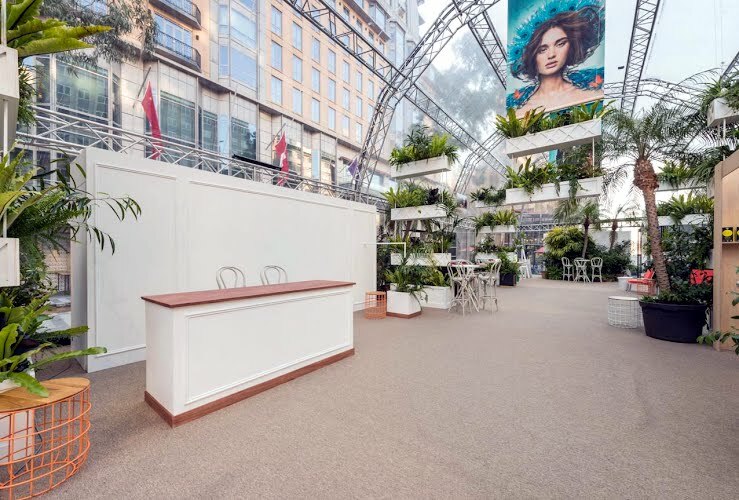 The central bar, pop up store and other furniture were easily movable to adapt to the myriad activities hosted in The Hub.